When I think of summer, a few things stick out - the beach, grilling out and eating S'mores. You will rarely find me at a campfire so I have found ways to enjoy this ooey gooey treat in the comfort of my home. Over the past few years, I have seen countless S'mores mug cakes floating around on pinterest and I decided to give this a try. While this recipe is not intended for someone who is dieting, it is downright delicious. This was such an easy recipe to make. 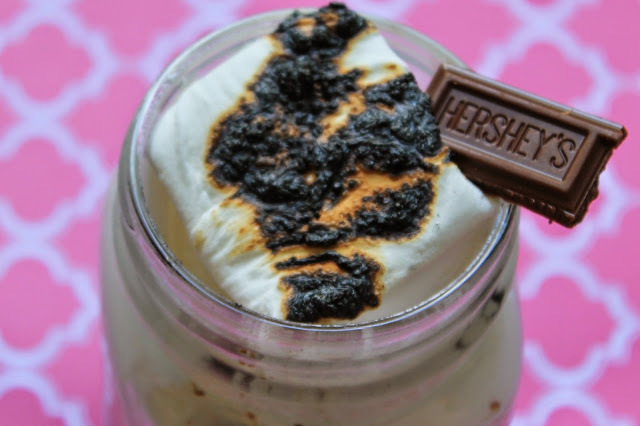 It is made in the microwave and you have a delicious S'mores cake in your hand in 10 minutes or less. Simple, quick and delicious. In a small bowl, combine 3 tablespoons butter and chocolate. Melt in the microwave for 20-30 seconds. In another bowl, combine 1/2 tablespoon butter with 3 tablespoons of graham cracker crumbs, stir until combined. Press crumb mixture into the bottom of your mug. In a medium sized bowl, whisk egg, sugar and vanilla until smooth. Add flour, baking powder, salt and cocoa, and stri with a rubber spatula until you have a smooth batter. Add the butter / chocolate mixture and combine. Top the graham mixture with half of the chocolate batter, top that with 1 Kraft S'moresMallow. 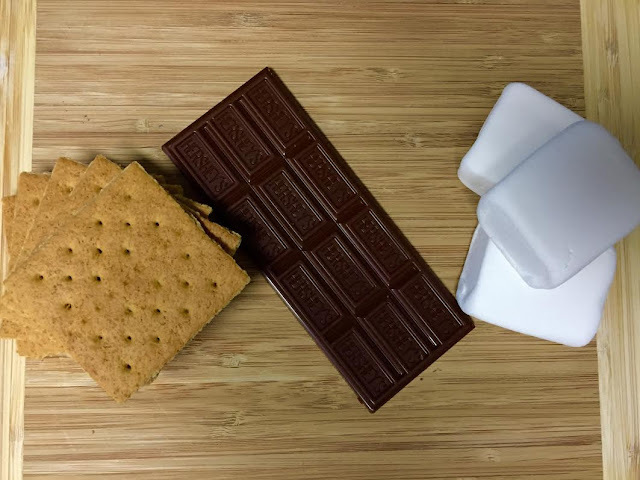 Top with the remaining batter, then your second S'moresMallow. I used a glass mason jar and it was half full. The marshmallow's expand, so be sure not to have this filled to the top. Microwave for 1:30. Top with the third marshmallow and toast it with a kitchen torch. I found all of the ingredients used to make the S'mores at Walmart in Tampa. 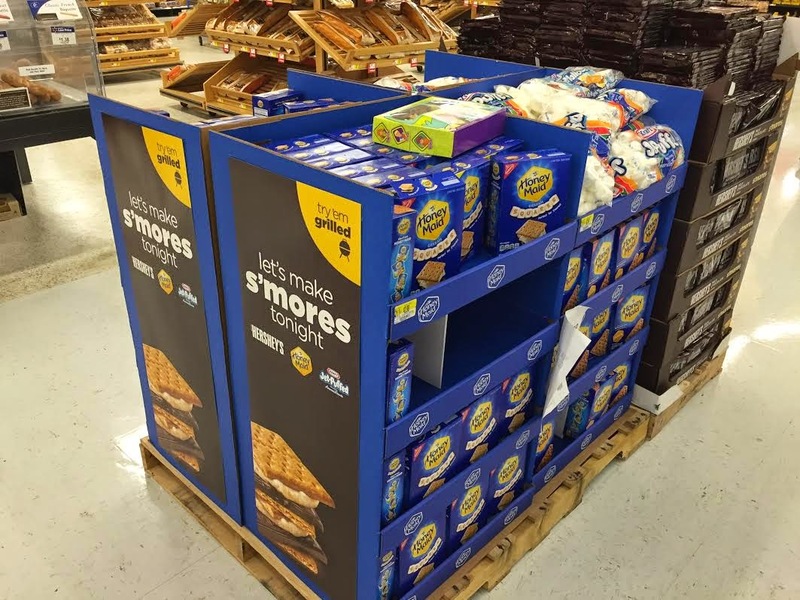 There was a S'mores display with the S'moresMallows, Graham Cracker Squares and Hershey Bars in the middle of the store. .